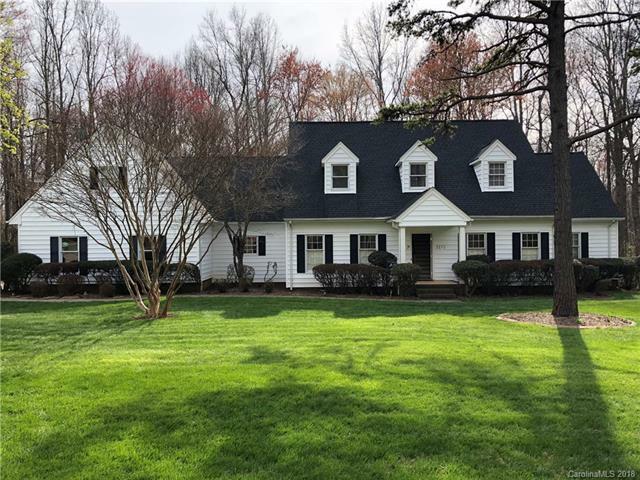 Beautifully maintained home in Statesville Country Club! Wonderful new quartz counter tops in the kitchen with great cabinet and counter space with a center island! Fresh paint throughout majority of the home! Spacious, cozy rooms throughout! Large eat in kitchen, dining room, and family room provide great space for entertaining! Peaceful, private tree-lined back yard can be enjoyed from the back deck with pergola or enclosed sunroom! Generously sized master bedroom on main level! Large room on second floor could double as a master with shared bath and sitting area! Plenty of storage throughout! Roof 5 years old and heat pumps 6 and 7 yrs old. Conveniently located near Statesville shopping and dining, I-77, and I-40! Voluntary HOA. Country Club amenities available through various membership options (please see statesvillecc.com for more information). Sold by Tarheel Realty II.